You're all set! Confirm you want deals for Marshall Eye Jr Water Well Drilling & Repair Service in -zip-? When you need water well drilling in Missouri, you should rely on excavation contractors who have been doing it for years. In Potosi, MO, that company is Marshall Eye Jr Water Well Drilling & Repair Service. The fourth-generation business was started by the great-grandfather of current owner Felix Eye, who is now training his son. Since 1959, Eye Marshall Jr Drilling & Pump Service has been providing excellent service in drilling, trenching, repair, installation, and inspection. Marshall Eye Jr Water Well Drilling & Repair Service’s excavation contractors specialize in the following services: * Water Well Drilling: When you need a new well installed, it’s important to call in the professional drilling contractors. 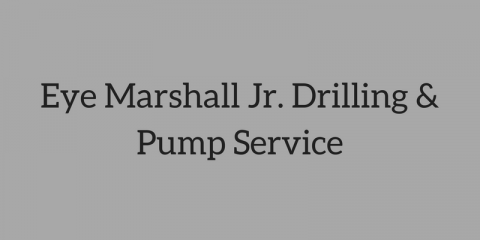 * Pump Service: You may require pump service from time to time, and when that happens, Eye Marshall Jr Drilling & Pump Service can assist. * Water Well Maintenance: Once your water well is installed, it requires periodic maintenance to keep everything flowing smoothly, and professionals will keep it in top shape. * Well Repair: If there’s a problem with your well, you may be wondering where to turn. 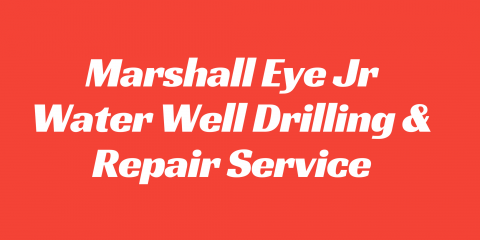 Eye Marshall Jr Drilling & Pump Service has years of experience repairing wells in the region. * Well Inspection: Getting a well inspection is always a good idea if you want to be aware of any potential issues with your property’s well. 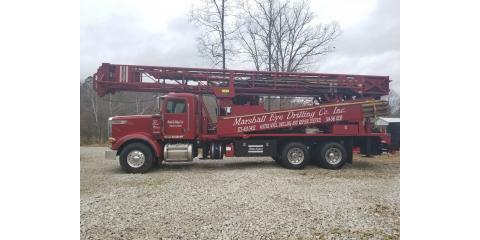 When you need a dependable, time-honored excavation contractor and well drilling business, don’t hesitate to reach out to Marshall Eye Jr Water Well Drilling & Repair Service by calling (314) 541-6239.